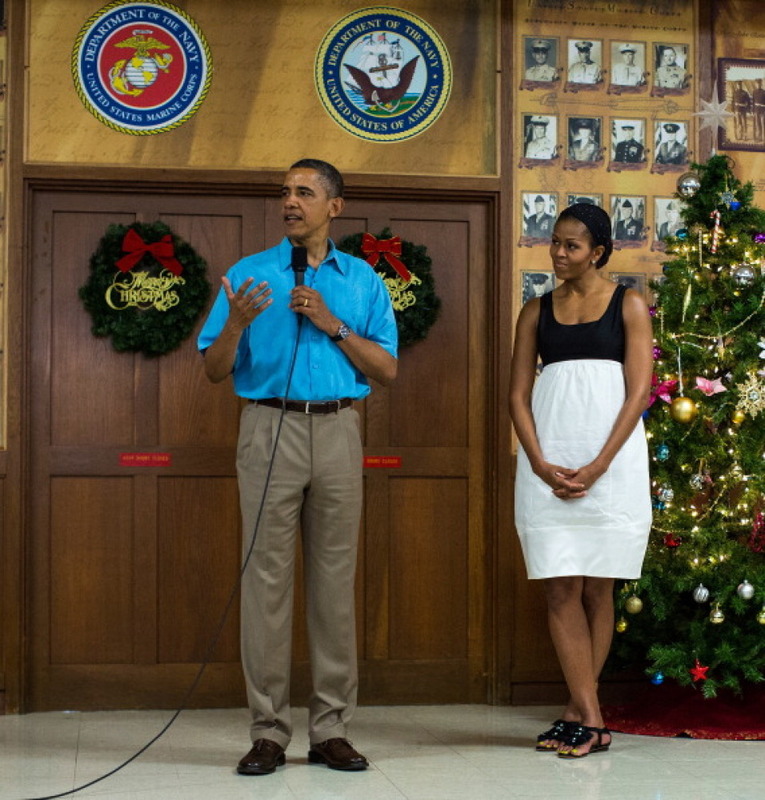 Sorry folks, the holidays are officially over -- for the Obamas, at least. After celebrating Christmas in sunny Hawaii (Michelle even personally called children about Santa! ), the first family made their way back to the White House yesterday, marking the end of their annual trip to the president's hometown. Of course, the always-thrifty Michelle Obama knew just what to wear for the occasion: the same exact Target dress she wore while stepping off the plane in Honolulu in December. This time, she opted to pair the geometric printed number with a black cropped cardigan and chunky sandals. What do you think of Michelle Obama's go-to travel dress? See pictures of the first couple departing on Air Force One below and tell us: do you pack as well as FLOTUS does when you go on vacation? See more of Michelle Obama's style!